Ruben Loftus-Cheek has withdrawn from the England squad due to injury ahead of EURO Qualifiers against Czech Republic and Montenegro with James Ward-Prowse filling in. 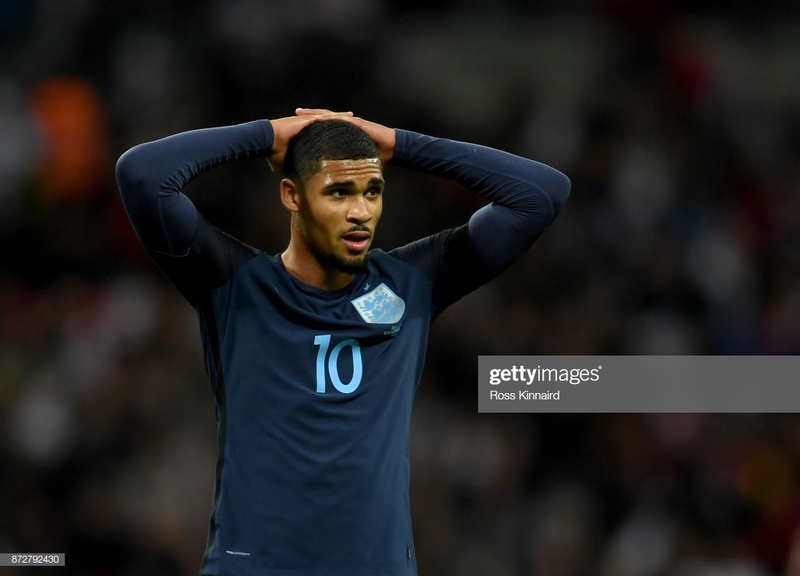 The Football Association have reported that Ruben Loftus-Cheek has withdrawn from the England squad. An expected return date has not been given as of yet. After a flurry of mild injuries, this season the Chelsea midfielder appeared ever closer to full fitness and began to compete for a starting eleven place in Maurizio Sarri’s side. Loftus-Cheek looked to be making significant progress with his fitness and completed his first 90 minutes for the club since December in the Blues’ Europa League 5-0 away win over Dynamo Kiev. Loftus-Cheek spoke to Chelsea and gave his thoughts on the game in Kiev: “I really enjoyed it, it was my first 90 in a while. It was difficult at the end, but I kept pushing to try and get the runs in my legs and I’m really happy with that." The England international had previously been out for three weeks at the start of the season with a back injury along with minor concerns. The 23-year-old has recently worked closely to full fitness, but another setback has proved costly. “It’s difficult when you’re not playing as much as you’d like and you’re not playing 90 regularly. “Before I was injured, I was playing quite a bit and I was feeling good and then I got injured again at the wrong time for me. I had to take it slowly but I’m building up nicely. Loftus-Cheek has featured 29 times this season the Blues making just making an average of 43 minutes a game. However, having worked closely under Gareth Southgate in the Under-21s, the England Manager is aware of the midfielder’s qualities. Unfortunately for Loftus-Cheek, he will have to wait until the next given opportunity to score his first senior national team goal. In replacement of the Chelsea starlet is James Ward-Prowse. The Southampton midfielder also worked closely with Southgate making 31 appearances for the Under-21s side.